Canonical announced that a few security vulnerabilities were discovered in the Linux kernel for OMAP4, by various developers, this time affecting the Ubuntu 10.10 (Maverick Meerkat) operating system. The QOOQ French Digital Cookbook is a tablet designed for use in the kitchen. It has a water-resistant design and a case that can be wiped clean with a cloth if you get water, oil, or other food on the screen while looking up a recipe. At CES 2012, semiconductor company Marvell has shown up at the center of two major projects that shifted from x86-based systems to ARM-based systems. In both cases, it has also been a project that Intel had withdrawn from: Google TV, and One Laptop Per Child. Anand and Jason had a chance to speak with FXI a while back, but at the time they weren’t able to give him any hands-on time with their micro-computer concept device, codenamed Cotton Candy. They’re demoing the hardware at CES, and this time we were able to play around with the device and get a feel for what it can do. LAS VEGAS--$399. Linux. Designed for the kitchen. The Qooq is one of the weirdest tablet computers we have seen in a while. It's selling respectably well in France, we are told, and it's coming to the United States soon. OpenNI has shown some lights to natural interactions by using depth map images together with RGB images from cameras. Natural human gestures, e.g. hand moving, limbs movements are all being developed fast. Microsoft Kinect is a typical example that demonstrated the huge potential of the OpenNI in terms of game applications. Lenovo has announced a 13.3-inch notebook computer that has both Intel and ARM processors. The ThinkPad X1 Hybrid combines an Core i3, i5, or i7 CPU with a dual-core Qualcomm Snapdragon, allowing users to toggle between Windows 7 and a Linux-based "Instant Media Mode" operating system whenever they want. Intel's dominance in the world of microprocessors remains unabated and should persevere for the next decade despite stiff competition from AMD, ARM, and potentially some new players. The demise is in mind share, especially with the whole idea about microprocessors and the x86. 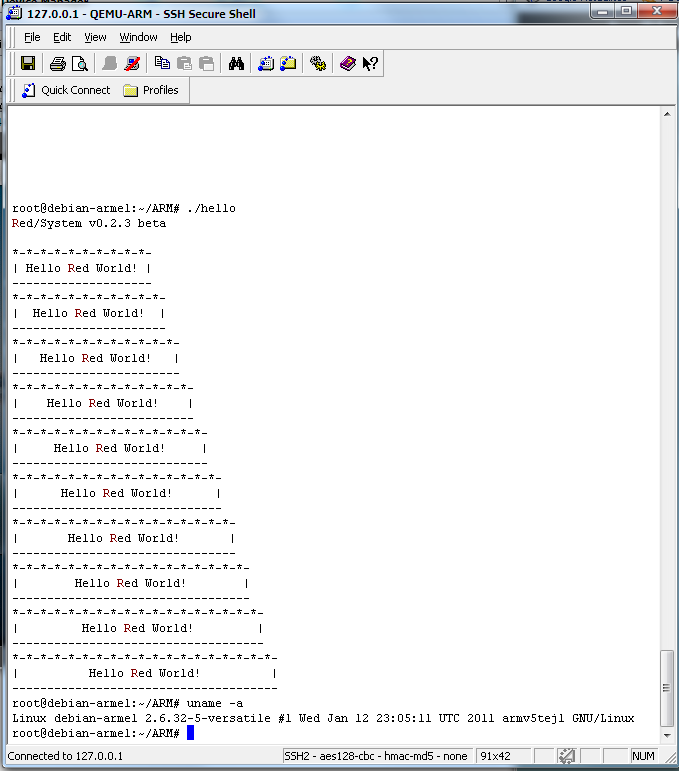 Red/System, the new programming language that is used in the Syllable project, has reached its next milestone: an ARM code generator backend for its compiler. 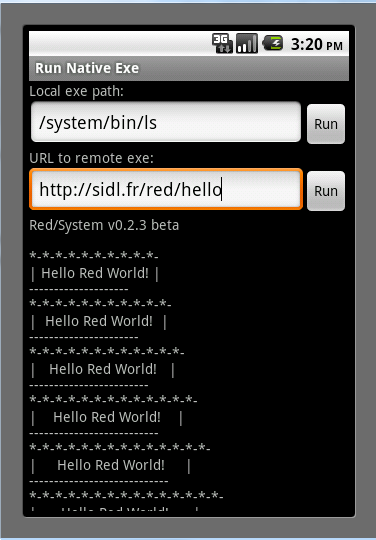 It supports Android (screenshot) and generic ARM Linux (screenshot on Debian). Earlier, the backend for generating Mac OS X executables was already completed (for x86 CPUs so far). At last glance, people who took advantage of the super awesome clearance sale of the HP Touchpad have the option of keeping WebOS on their tablets or throwing some CyanogenMod goodness on there.